Of all the different ways to make money on the internet, affiliate marketing is one that people seem to find the most success with. 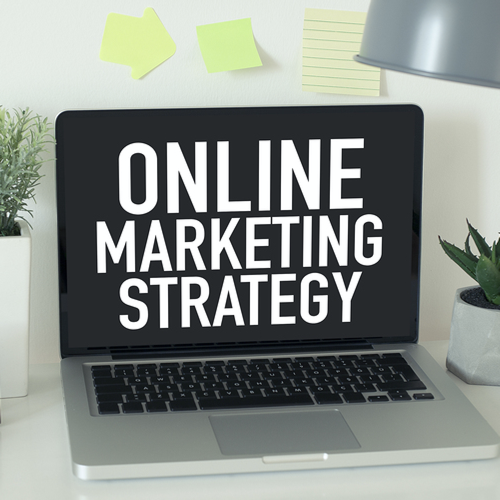 Even though affiliate marketing might not be mainstream or one of the most popular methods for running a business, it’s actually one of the most successful methods of online marketing. Companies like Amazon, Walmart, Microsoft and even Google are all using affiliate marketing to drive billions of dollars in new sales and revenue through their sites on a daily basis. Throw email marketing into the mix, and you have quite the powerful formula for not just making money online, but also creating a legitimate business in the process! The way affiliate marketing works is quite simple. When a brand wants to launch an affiliate program, they are agreeing to offer a commission in exchange for any new leads, sales or referrals that come in through an affiliate or partner site. The benefit to the affiliate is that they can generate revenue, while also not needing to hold any inventory, process orders or even connect with the end user or brand to complete the process. Affiliate marketing is generating billions of dollars every year, and according to a recent survey by Viglink, it’s the #2 method of revenue generation, right next to Google Adsense. When it comes to making money online and site monetization, there are always going to be way new and exciting ways to increase individuals earnings and campaign conversions. To learn more about how this can be accomplished, let’s take a look at these “7 Ways to Earn More Money with Affiliate Marketing and Email Marketing“. When selecting an affiliate offer to promote, don’t make a decision simply based on its payout. Instead, put in the time and effort to research your offer and the best ways for you to promote it to a specific audience. This is also true with email marketing. The best way to find success with both, is to first put in the time and effort to research your niche audience, who they are, how to get in front of them, and also how to provide them with exactly what they want. When advertising through any traffic source, be sure to start with a low daily ad spend to make sure you don’t run through your daily budget. This will also help with data analysis and giving you an idea where your campaign might be headed. A great example of this would be using the AfterOffers email delivery service to increase your subscriber size on a daily basis. Since there are no minimum budgets or contracts in place, you can start growing your list as slowly or fast as you like. Create and use landing pages to increase offer conversions. This works especially well if you are building out ad campaigns to target specific audiences and demographics. Make sure to split test any changes you make to your landing pages at all times. This is something we like to often talk about on the blog. Split testing and having the best landing pages for your affiliate and email campaigns is key. Just like we talked about targeting your audience in the first bullet point, you should also be creating custom landing pages for different audiences and traffic sources as well. No matter where you are advertising and promoting your affiliate campaigns, always split test your text and image ad copy. This also applies to the landing pages you are using for your email campaigns as well. Simple changes like colors, text, and call-to-actions can quickly swing a failing campaign to profitability. This is especially true when it comes to using banner ads, popups or even Google Adwords and search ads. No matter how profitable or great your existing ad campaign might be, there is always room for further improvement. Just like the ad copy of your campaign, it’s also important to split test where your traffic is coming from. Always split test different traffic sources so you can tell where your best leads and traffic is coming from. Without this in place, you are likely to leave a lot of money on the table. Also, don’t forget that you can split test the quality of your email and subscriber leads based off location as well. This will take more work, as you might need to segment your list, or even create different lists, but it’s well worth it in the end so you can appropriately track ROI and which campaigns are working best. An excellent way to keep the traffic and conversions flowing after a visitor leaves your site or landing page is to set up remarketing ad campaigns. This can be done through Google Adwords, Facebook Ads or many other third-party retargeting networks. With remarketing, not only can you track and deliver ads to visitors of your site who might have left, you can also do the same for your email subscribers as well. Through the use of custom audiences on Facebook, you can actually upload your email list, and find matching social users for those accounts. Try this out, it’s one of the best ways to increase conversions and ROI! When pushing any type of volume through an affiliate network, always be sure to ask for a higher payout on your affiliate offer. If the volume and quality are there, most networks will gladly oblige, as this will likely help affiliates earn more and increase traffic even future. The same can also be done with email lead generation and buying leads. The more volume you are pushing as an affiliate, or buying as an advertiser, can give a lot of leverage and make room for additional earnings or discounts. Is Affiliate and Email Marketing Right for You? As mentioned earlier, affiliate marketing and email marketing have both been around for many years now and the concepts are nothing new. What is new, is how many people are discovering it on a daily basis and changing their lives in the process. To learn more about affiliate marketing and how to grow your mailing list in size, be sure to contact us today! We’d also love to talk with any site owners or bloggers that would like to increase their site revenue through our opt-in email lead generation rev-share program.